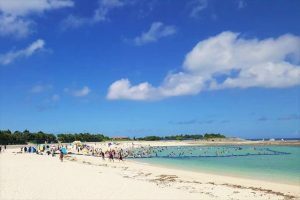 A large, sandy beach that extends over 550 meters. 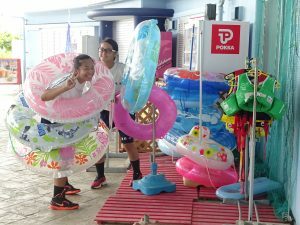 You can enjoy swimming, beach volleyball, beach soccer and marine sports, etc. Click here for more details. 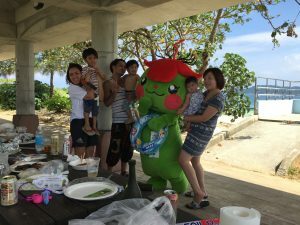 A square where those from children to elderly people can enjoy. 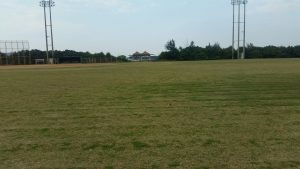 It also serves as a field trip and event venue. 21 large buildings for barbecuing, providing accommodation of 840 people in total. You can enjoy a beach party while viewing the ocean. 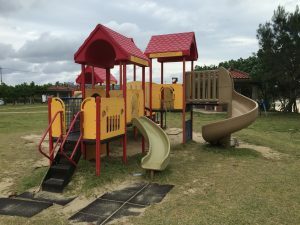 A square where children can play freely, with plenty of play equipment. 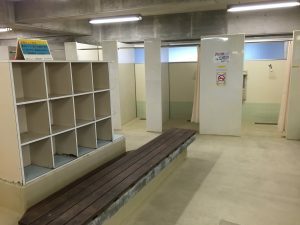 Shower rooms and lockers are available, assuring peace of mind for those who want to enjoy swimming in the sea. Plenty of parasols, swimming rings and lounge chairs are available for rental, ensuring the comfort while you enjoy swimming in the sea. Our soft serve ice cream is very popular! We also sell various light meals, snacks and toys at the shops. 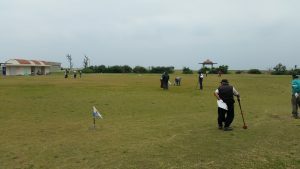 The only park golf course available in the Yonabaru area. 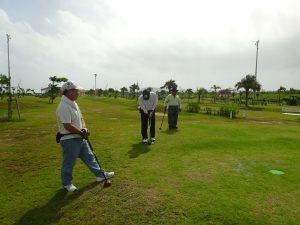 As a course certified by the Nippon Park Golf Association, it allows every generation from children to elderly people to casually enjoy this community sport. 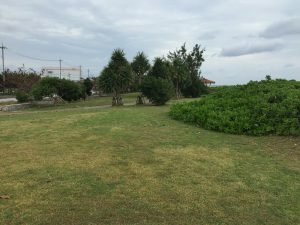 A park characterized by a large lawn square near Okinawa Morinaga Milk Industry. 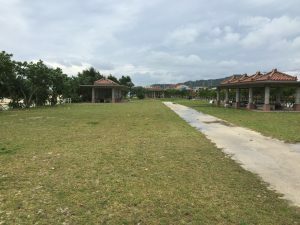 It also serves as a facility where you can take a break or have a picnic. You see people enjoy strolling on the promenade along the sea.